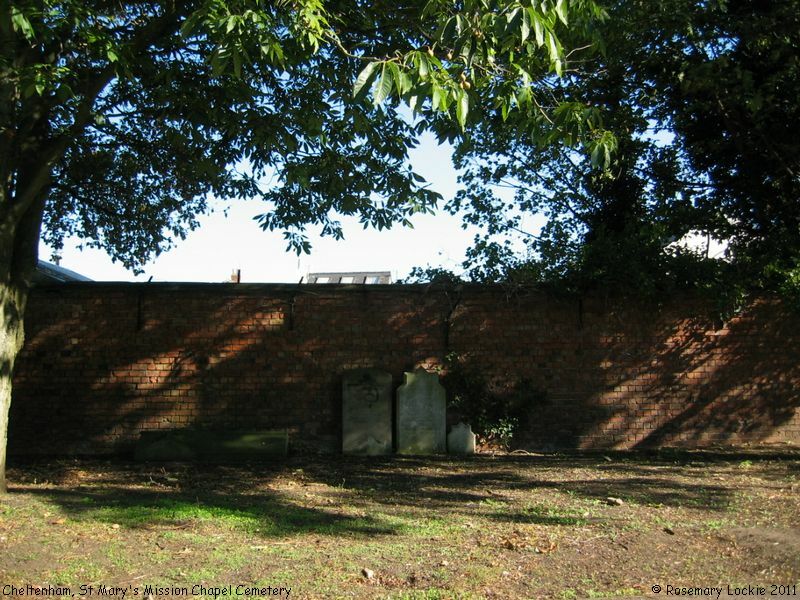 This Cemetery or Burial Ground was founded in 1831, though it is now closed, but we don't yet know when. 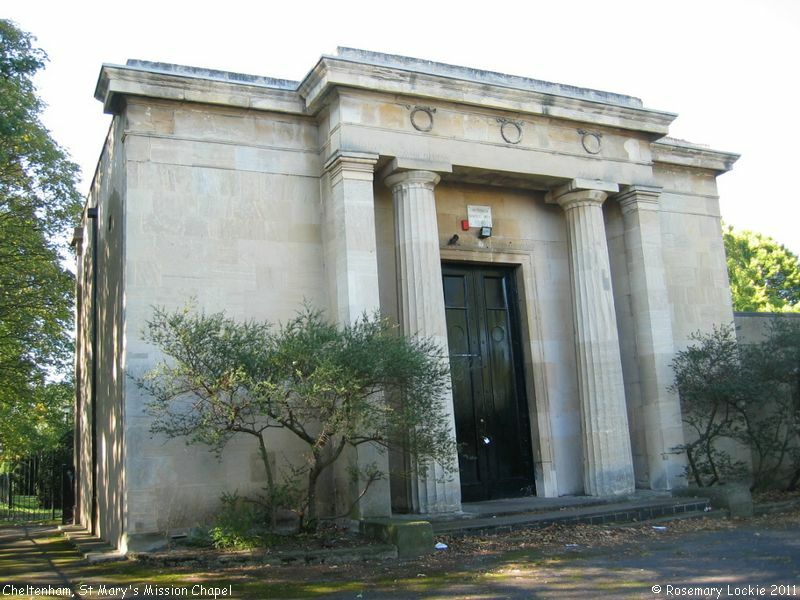 This site was purchased as a new burial ground for St Mary's Church in 1829, and a chapel was built in 1831. 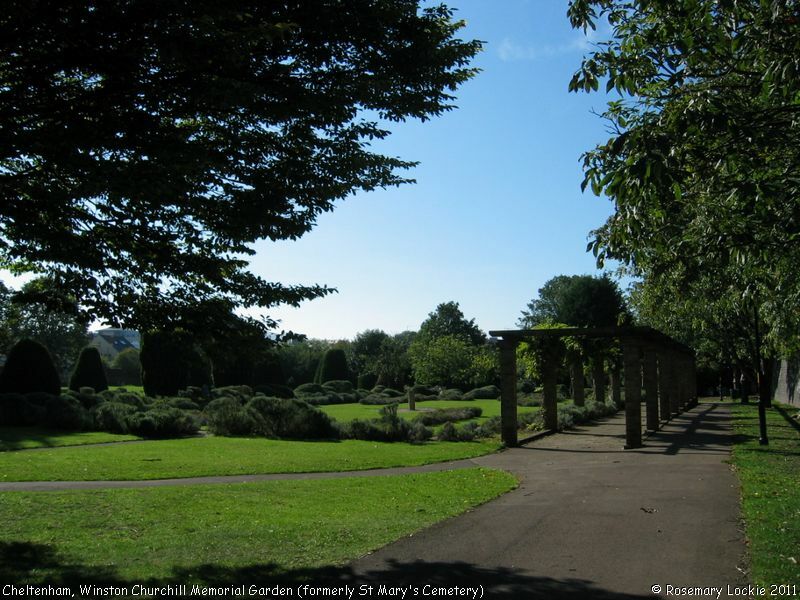 The burial ground has been cleared, and is now the Winston Churchill Memorial Garden, whilst the Chapel is now in use as the Cheltenham Martial Arts Centre. Just a handful of the headstones survive, propped up against the north wall of the plot. According to the Chapel's address (30 Stoneville Street) on the British Listed Buildings website, there may have been a side entrance from Stoneville Street, but today the end of the street appears to have been blocked off, and access is by foot only from the Lower High Street. St Mary's Mission Chapel & Cemetery, Cheltenham shown on a Google Map. Information last updated on 8 Nov 2018 at 16:55. This Report was created 22 Mar 2019 - 06:59:59 GMT from information held in the Gloucestershire section of the Places of Worship Database. This was last updated on 7 Feb 2019 at 07:45.